Sentricon System | Stop those Nasty Termite Droppings! 13 Dec The Sentricon Termite Colony Elimination System | Stop those Termite Droppings! 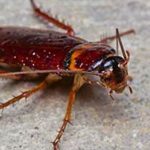 As a homeowner, you probably worry about the possibility of a fire or severe weather destroying your home, yet studies indicate damage from subterranean termites is far more likely, especially in South Carolina. This year alone, more than 5 million homes in the United States will be damaged by subterranean termite infestations that bring with them termite droppings and holes. 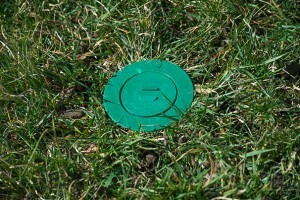 Homeowners will face an estimated $5 billion to $10 billion in property damage. Most insurance companies do not cover termite damage! In South Carolina, structural damage from subterranean termites, including formosan subterranean termites is a serious problem. But you do have options to protect your home from subterranean termites. Stop termite holes, termite droppings, and other damage with Sentricon! The Sentricon Termite Colony Elimination System. An innovative solution that actually eliminates entire termite colonies from the site and protects the structure from subterranean termites for years to come. The Sentricon® System is a revolutionary termite baiting technology that provides ongoing structural protection from termites through in-ground baiting stations placed around the perimeter of a home. “It eliminates the termite colony.” Sentricon not only provides continuous protection from termites — even against those that have not yet moved onto your property — it eliminates the threat. The proof is in 30 independent university studies and 60 published scientific articles. Sentricon even protects the White House, the Statue of Liberty, other national treasures and millions of homes just like yours. “Sentricon stations around your home are always baited with Recruit® HD termite bait.” The bait remains in all the Sentricon stations all the time, offering constant property protection for peace of mind. Termites can begin feeding on it as soon as they find a Sentricon station, then share the bait with other termites to begin the colony elimination process. “Recruit HD termite bait is durable to last a long time.” It continues to protect no matter what the soil condition, weather or season. In termite palatability tests and field trials, termites preferred Recruit HD termite bait over wood, and liked it even better when it got old, cracked and moldy. Bait is replaced as it gets consumed. “The Sentricon® System won the Presidential Green Chemistry Challenge Award.” This national environmental award recognizes technical innovation that’s environmentally responsible1 . Sentricon minimizes environmental exposure by design, and it can be removed if desired. 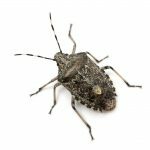 It was the first product registered under the Reduced Risk Pesticide Initiative of the U.S. Environmental Protection Agency.Pest Control’s Sentricon service involves four simple steps. First, an inspection. Island Pest Control will perform a free, no obligations termite inspection of your home, not just looking for active termites but also to point out areas that invites termites. “No, it’s easy on you and your home.” Sentricon is much less disruptive to your family, buildings and landscaping than other termite treatments. With Sentricon, there i s no drilling in floors or foundations, no trenching around your home, no chemical tank trucks, and no scheduling hassles. You don’t even need to be present for installation and service. Basically, no mess at all. “We will inspect and service the Sentricon stations on your property annually.” To ensure the bait will be present in all stations at all times, we will be inspecting and servicing the Sentricon stations on your property annually. “We’re committed to protecting your home from destructive termites.” We are Certified Sentricon Specialists™, selected by the manufacturer, Dow AgroSciences, from among the industry’s best pest management professionals. Would you like some references? Additionally, we hate termites just as much as you do. 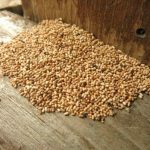 We hate termite droppings, termite holes, termite colonies, and everything that comes along with those nasty little pests. It would be our pleasure to get rid of them for you! If you start to see the signs of termites; holes, termite droppings, etc. you may have a termite problem. If you think you might have a problem with termites or any other pest…or simply a question…call Island Pest Control at 843-681-5188 and ask for me, John Kaiser. I’ll be happy to speak with you any time. Here’s to helping YOU live PEST FREE! PS. Don’t forget to ask about our termite inspection and a customized plan to protect your home with The Sentricon Termite Elimination System.